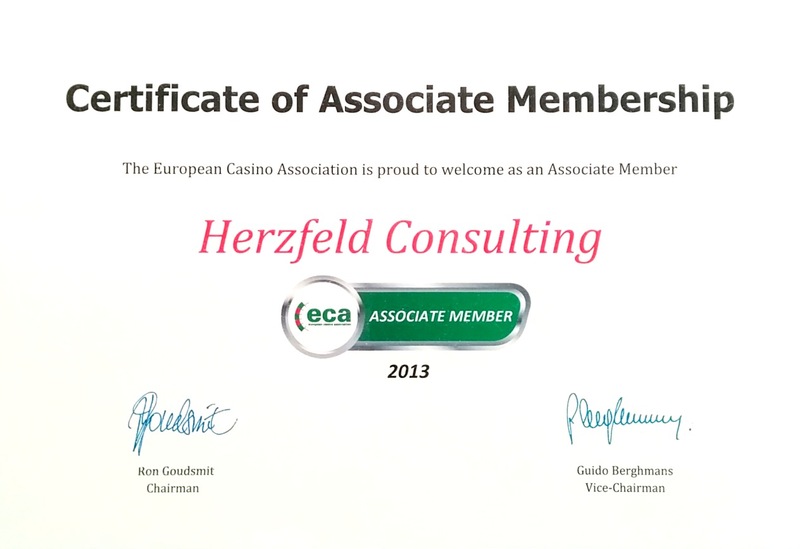 Herzfeld Consulting is proud to be an Associate Member of the European Casino Association (ECA). The European Casino Association represents national associations and individual operators of licensed land-based casinos in Europe. To date, the ECA represents the interests of approximately 800 casinos and 55,000 employees in 23 countries across Europe. Founded in the early 1990s as the European Casino Forum, the ECA has grown steadily over the years and today includes members from nearly all EU Member States, as well as Switzerland and Serbia. Located in Brussels/Belgium ECA’s key role is being the point of interaction between European institutions and stakeholders. ECA is the thought leader and unified voice for Europe’s licensed casino industry. ECA promotes a secure, regulated gaming environment, the highest responsible gaming standards, and a sustainable and fair business environment for the industry by proactively shaping policy frameworks and regulations. Constructively contribute to EU decision making on matters affecting the casino sector. 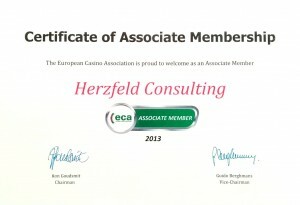 Learn more about ECA by visiting its website at www.europeancasinoassociation.org where you can also find ECA’s code of conduct as well as ECA’s working papers and submissions.